Most ginger is heat processed either in cooking or processing. 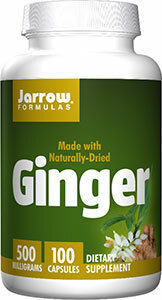 However, Jarrow Formulas® Ginger is naturally-dried and not subjected to any additional heat. This process ensures the presence of the active compounds that are beneficial to the gastrointestinal tract.